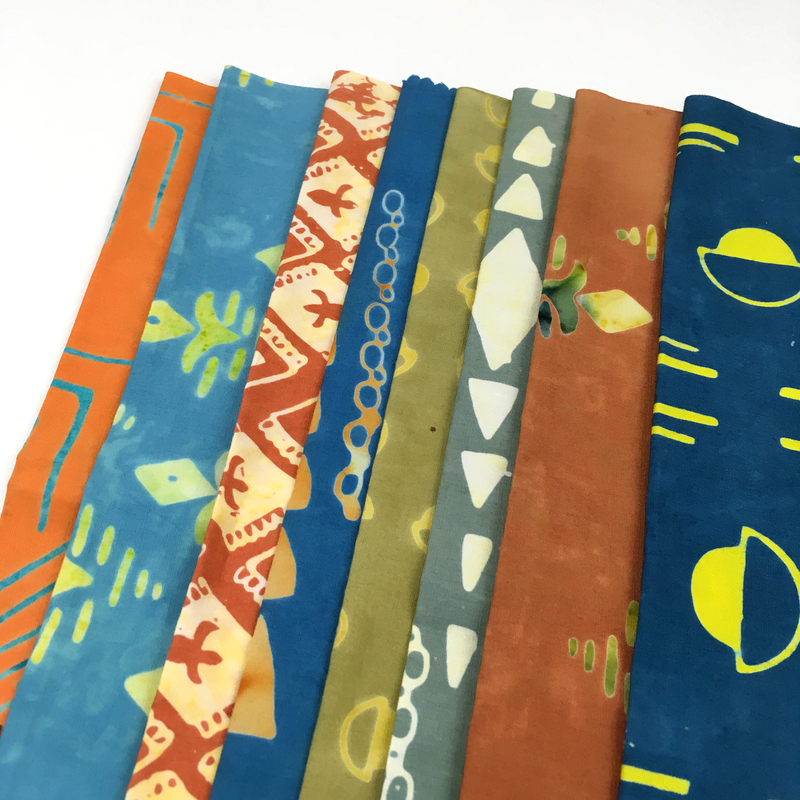 Earlier this year, Scott Hansen of Blue Nickel Studios introduced his first fabric collection for Banyan Batiks (a subdivision of Northcott). While I typically don’t use batiks in my work, when Scott contacted me and asked if I was interested in cutting up his new collection, Tie One On, to see what I can make, I said “Yes”! I love opportunities that force me to work outside my comfort zone. The color palette is typically not one I would work with but I was excited for the challenge. Side note: Scott was also a bit surprised when I requested white solid fabric to accompany the Tie One On fabric bundle! Scott sent me the Sedona colorway of Tie One On. Check out the story (and all of the colorways) of the collection on Scott’s blog. Interested in winning a bundle of this collection? 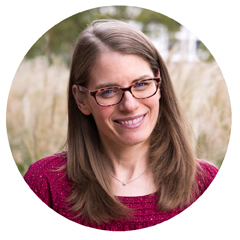 Enter for a chance to win at the end of this blog post! 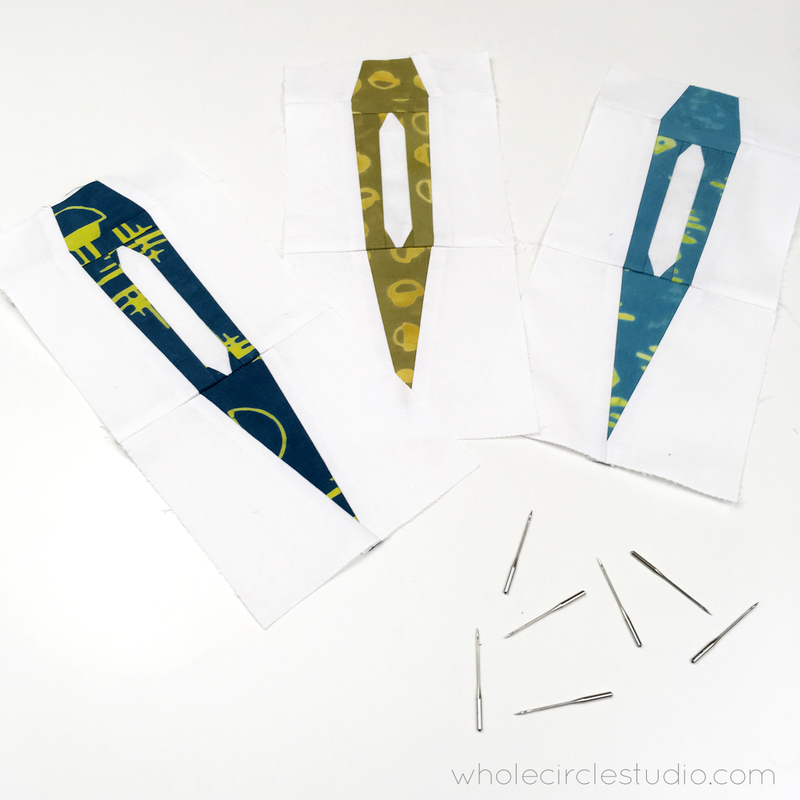 I decided to make a Sew Speedy wall hanging with my new fabric bundle. It’s Jelly Roll/Strip friendly and against a crisp, solid background the prints and color of Scott’s collection really stand out nicely. 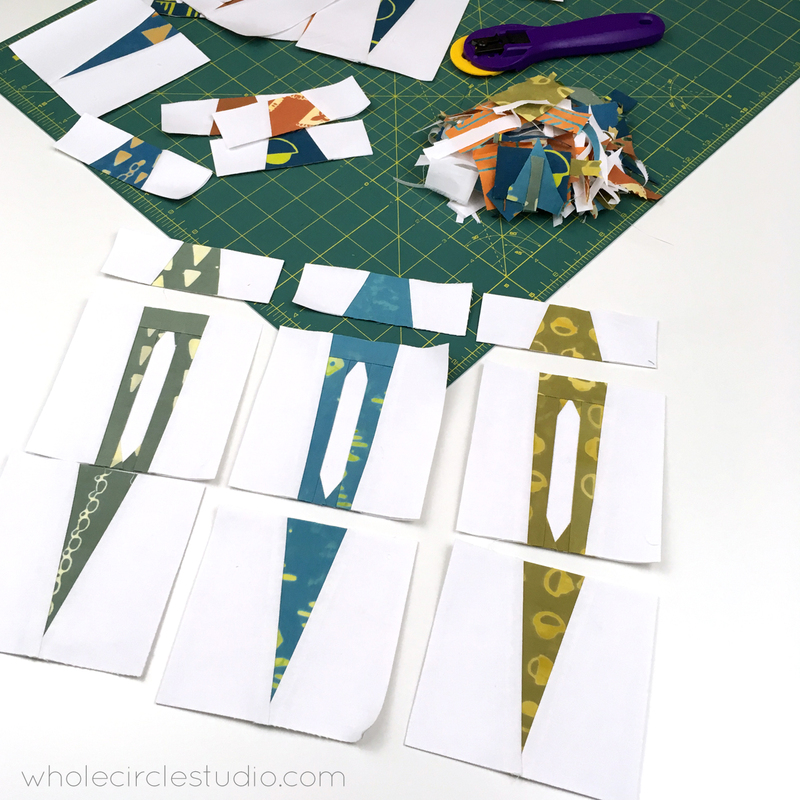 Sew Speedy, an easy, beginner-friendly foundation paper piecing pattern, is a great mini quilt to make as a wall hanging for your sewing space or gift to a sewist! Want to learn more about my process of designing Sew Speedy? Check out my blog post about the making of Sew Speedy. The fabric was easy to work with and I love how different this batik version is from the other Sew Speedy samples I’ve made. 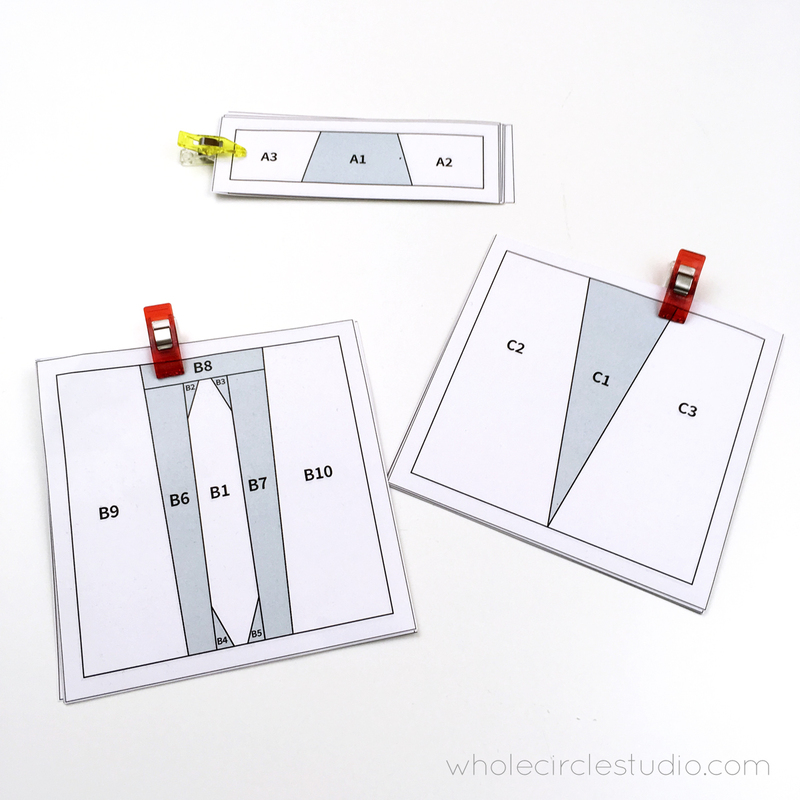 It’s amazing how the same pattern can look so different depending on your fabric choices! Be sure to follow along with the blog hop to be inspired by other Tie One On projects! 2. In your comment, answer: What would you make with a Tie One On Fat Quarter bundle? You have until 8pm EST on Tuesday, October 2, 2018. GIVEAWAY CLOSED. Congratulations to the winners: Pamela Smith and Mercedes. Thank you to all who left a comment! All fabric for this Sew Speedy sample and giveaway were supplied by Banyan Batiks/Northcott. Oh, let me see…….. these look like they would make a great tote, zipper pouches and with leftover bits n pieces, mug rugs! Let’s see how far I could stretch these! Lol!! Not my “go to” color palette either but would be fun to make a little snuggly blanket for one of my boys. Love this fabric. Not sure what I would make at this point until I see a larger piece of the fabric. Maybe I would construct another wall hanging. I don’t use batiks often either, and especially with these bolder, more random patterns. I do love the combinations of colors used in this bundle and think they’d look great in a delectable mountains block, or in a drunkards path. 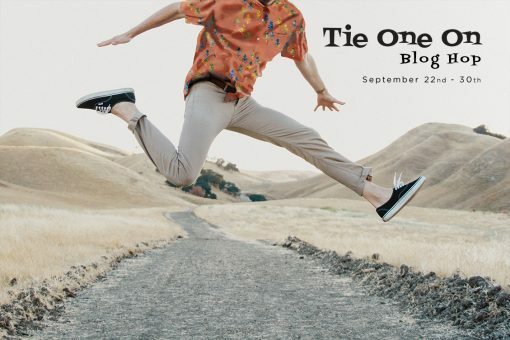 Considering they are called ” tie one on” perhaps that might be perfect. Oh, I would sew love to win this bundle! I know that I would make a fantastic quick throw for my son in college—I already know the pattern I would use! I love the pattern, the batiks used—Tie One On—such great fabrics for boys and men!!!! Oh, such perfection!!! Oh I would sew love to win this bundle!!!! I would make a throw for my son at college—just love the masculine fabrics!!! I already know the pattern I would use! I love your patterns, have many of them already!!! I will be signing up for your class at YQ also!!! Loved meeting you on Fall Preview Day there! Your mini quilt is sooo cute. It was a great way to show off Scott’s fabrics. I would use these fabrics for a quilt. Sometimes its hard to find fabrics to make a man quilt, these are perfect! These would make a great quilt for my husband. I love anything with sea turtles. Looks like a fun collection! i think these fabrics would be great for a lap quilt with a masculine feel. maybe a tie from one of the prints. thanks for the chance to win. I have a table quilt design that would work up great in this fabric. I love working with batiks. I like your mini quilt. I am not sure what i would make with the Tie One On fabric. They are beautiful fabrics. I think they would be perfect for a star quilt. All your patterns are amazing!! If I win I will make a throw for my cousin birthday! These are beautiful fabrics. I once started and abstract leaf pattern with batiks and have no idea what happened to it. I would love to start up another with these beauties. I love batiks. I might make something to go with the wall hanging. I absolutely love batiks and this colorway. 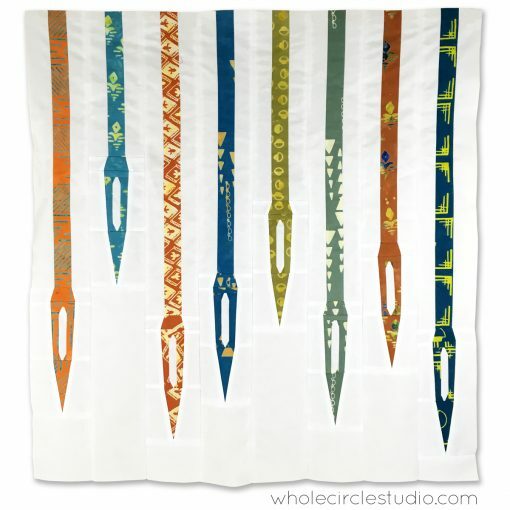 I would make a table runner for my dining room. 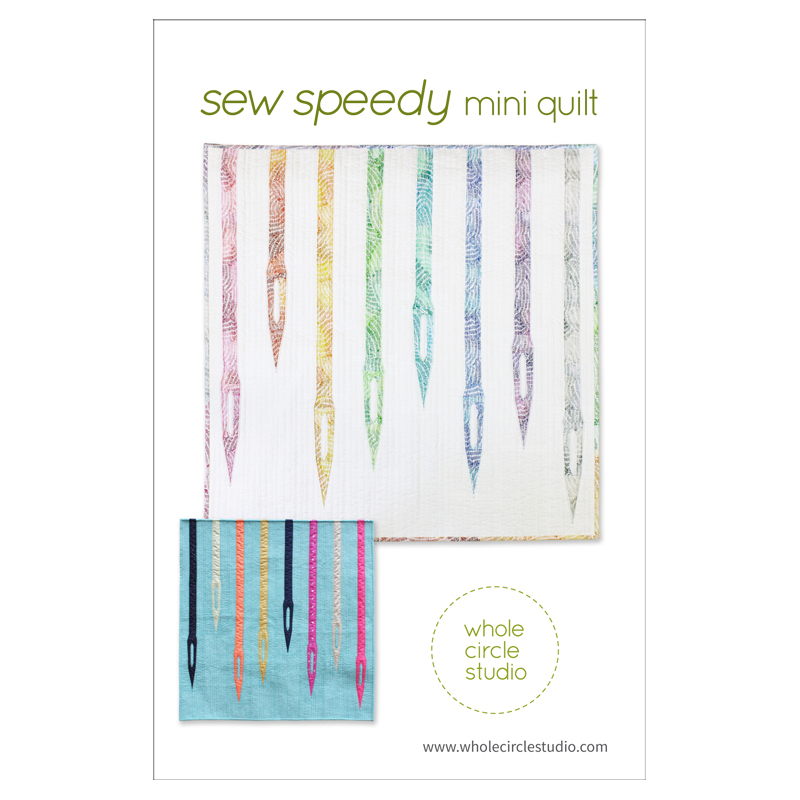 I would love to make your sew speedy- it is so clever and looks fun! Oh wow, your quilt top is so cool! I would like to use Scott’s beautiful fabrics to make some fun bags and pouches. I would definitely make a quilt, but also maybe a bag or many, possibly another Range Backpack. With my tendencies to use fabrics for quilt blocks I would make a quilt. And something with feathers.. A gorgeous Feather block! Love your So speedy! I think I would use these bright batiks for a sew together bag and some fabric pods. If I win, I will make a quilt for myself. I think I have made everyone else one. I started a quilt last summer with Scott’s hashtag pattern and it has a Southwest vibe. Some of his Sedona batiks would give it the perfect feel. I think I would make a maple leaf table runner with these fabrics. I love your quilt top! I think a quilt would be a great project with these colors. They also would go with my furniture. I have a grandson that would love a quilt in these colors and patterns. Love what you made! I haven’t seen that pattern before. I’ve been waiting months for this fabric release. I have about TEN patterns chosen…now to narrow it down? Your quilt looks great in the batiks! I would love to make a tote bag and a quilt with this collection. Well, until today I might not have had an answer to the question but I do so love the Sew Speedy mini quilt. I would make that in a heart beat. 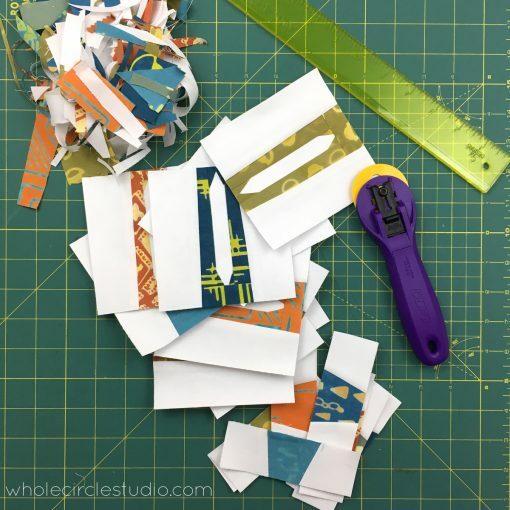 I do not love paper piecing because it wastes so much, but I would do it!! I just love your pattern and Scott’s fabrics make it sing! I really like your needles. I would make a quilt for sure. What pattern? Well that would take some thought. First thought I had was making dresden plate blocks since the blades look like ties. I love to sew batik for its crispness! I would make myself a road trip quilt! 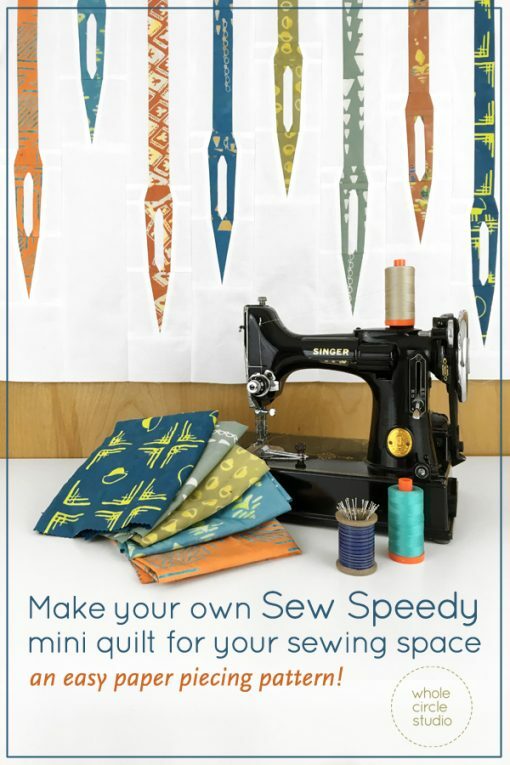 The Sew Speedy pattern looks so fun! And these batiks add a lot of interest and movement. I love it! Thanks for sharing this. 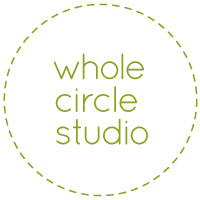 I love the batiks and your project choice. Not sure what I’d do with the fat quarter but I’m sure I could figure it out. 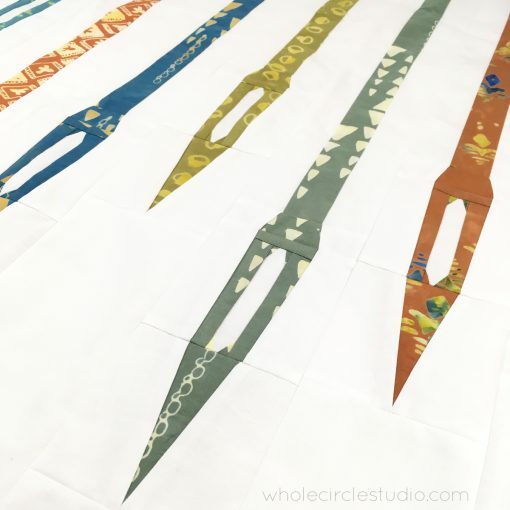 I love your use of the batiks in this fun pattern! I would make a lap quilt with these beautiful fabrics. I think a great kids quilt would be perfect. Your wall hanging is fantastic. These batiks are so different in color and pattern than usual batik fabric. They are such fun patterns. I would love to have a tote out of these batiks and the scraps would go into my postage stamp quilts. Your mini quilt is very cute. I think those fabrics would make a great autumn tote or purse. 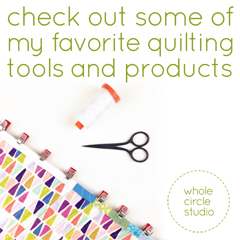 I would add some of it to my epp hexagon quilt I am making with batiks! So many choices, just one? I think what I make would depend on which color way I was sent. I love each one for different things. It is interesting to see you pattern in a totally different color version & fabric. I would make a table topper and napkins!!! This fabric selection is exciting, new, innovative use of color not typically promoted. A small quilt for my grandson would be a perfect project. Your design is perfect for these fabrics! I think I would piece a bow tie design with thee beautiful batiks. I love the colors in this collection. I would make a lap quilt. What a great quilt! I love these fabrics. So many ideas popped in my head as I read through each blog post. BTW – love your mini-wallhanging. I think I would want to make a set of placemats and table runner with these fabulous fabrics. I would make a quilt. Not sure what pattern. Maybe one of yours as I have been wanting to make one for a while! Your pattern would look sew good in our sewing rooms! Thank you! 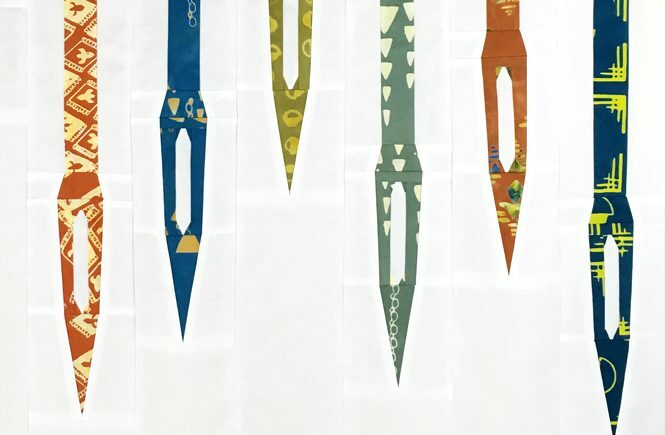 I think my next project will be something pointy. Some type of compass pattern with lots of color. Maybe on black. I think this would make a great runner! Probably a tote. Really into making bags, right now. I love these fabrics! I would have to make a new travel bag with them. Hi! Love your quilts. I would make a lap quilt with the “tie one on” fat quarters. I love the colors in these fabrics. They would great to mix in with a quilt I am working on for my son. That is a cute pattern and it looks fabulous in those fabrics. What would make something simple that lets the beautiful designs shine through. I have been thinking about making journal quilts again and this would be perfect for those. 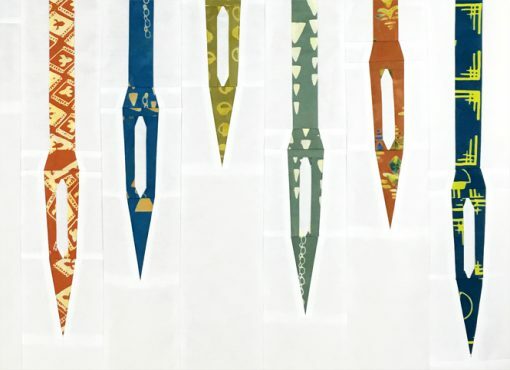 I would love to try making those wonderful needles you made. Those are awesome!